Our premium quality Yaskawa Drives are widely used in the Industries for controlling the speed of induction motors so that the highest productivity can be attained at optimal consumption. 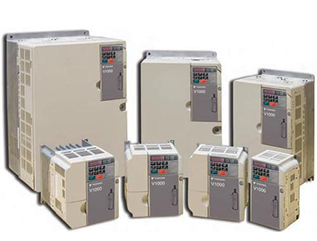 We are acknowledged as a finest Yaskawa Drives Supplier in Delhi engrossed in providing an impeccable gamut of these products to our esteemed clients. The offered range is hugely applauded in the market because of their attributes such as service life, strength, faultless performance and capacity. Apart from this, the offered products are noticed at the most possible reasonable prices. Due to a vast year of experience in the domain, JAINSONS (INDIA) is in a position to serve the clients with a perfect electrical solution so that they will not face any related problem. Today, we stand out as an eminent Yaskawa Drives Supplier in Delhi for all electrical and electronic needs of the customers. On the other hand, we are also considered as the best Siemens Automation supplier in Delhi and nearby areas. In the production unit of these products, we make use only supreme quality raw material and sophisticated technology & advent tools. Our reasonable price range, flexible payment modes, fair business policies and client-focused approach have located our company at the pinnacle of success in this field. Also, we render these exceptional Industrial Electrical Services to our valuable clients at the cost-effective price range. Browse our gallery for the attractive assortment of industrial electronic products.